JERUSALEM – The World Jewish Congress is hosting in Israel this week more than 100 members of its flagship program the WJC-Jewish Diplomatic Corps (WJC-JDCorps) – an elite group of professionals aged 27-45 from more than 40 countries – to celebrate the 70th anniversary of the State of Israel, under the banner, “Israel, 70 years young.” President Ronald S. Lauder brought the WJC-JDCorps back under the umbrella of the WJC and his personal sponsorship five years ago, seeing it as a critical tool in addressing one of the most important challenges facing the Jewish world today – the development of a strong Jewish communal leadership. Over the course of the three-day mission, the WJC-JDCorps will visit Jerusalem, Tel Aviv, and Haifa, and engage with leaders of Israeli society in government, academia, media, faith communities, business and young leadership on issues including regional and security developments in Israel and the Middle East, models of coexistence, drivers of innovation and academic excellence, and Israel in the eyes of the international media. Amongst those addressing the special mission are Minister of Justice Ayelet Shaked, Minister of Regional Cooperation Tzachi Hanegbi, Director General of Ministry of Intelligence Hagai Tzuriel, Haifa Mayor Yona Yahav, Former Supreme Court Justice Salim Joubran, Secretary general of the Baha'i International community Joshua Lincoln, Nobel Prize Laureate Aaron Ciechanover, President of the Technion Institute of Technology Peretz Lavie, IDF Spokesperson Ronen Manelis, and Chief Political Analyst and Anchor for Reshet media Udi Segal. Haifa Mayor Yona Yahav, who hosted the mission at the Haifa Municipality praised the WJC-JDCorps as unique in its kind amongst Jewish groups coming to Israel for its initiative to visit Haifa and learn of the ample examples of coexistence and cooperation in the city. 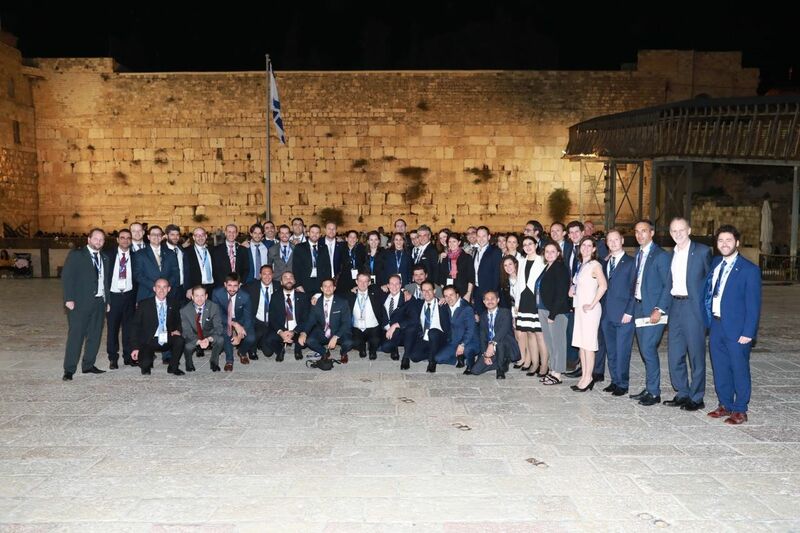 WJC Chief Program Officer Sonia Gomes de Mesquita, who led the mission, described it as a unique opportunity to established even stronger relationships and sharing of knowledge between the Jewish state and this exceptional group of leaders.